It’s on! We’re offering six levels of savings over the Black Friday/Cyber Monday weekend, covering a huge selection of items. We’ve got a massive amount of merchandise in six price categories: 500 yen, 1,000 yen, 1,500, 2,000 yen, 3,000 and 5,000 yen, with almost all items at least 50% or more off the normal retail price! 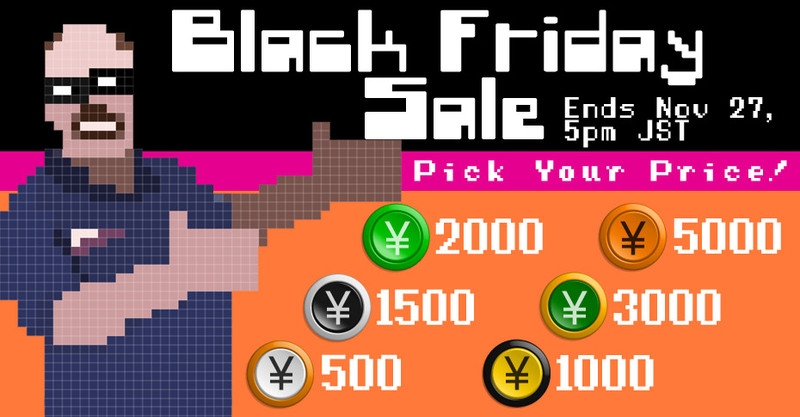 This sale is on from 2pm Friday November 23 JST to 5pm Tuesday November 27 JST (that’s midnight Thursday night EST to midnight Monday night PST). All prices are clearly marked on the item pages, so just grab your price and GO!